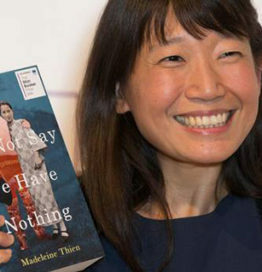 MADELEINE THIEN - Kampot Writers Festival 2017 "Courage" Kampot Writers Festival 2017 "Courage"
Madeleine Thien is the Canadian-born daughter of Malaysian-Chinese immigrants. She is the author of the story collection Simple Recipes and three novels, including Dogs at the Perimeter, about the aftermath of the Cambodian civil war and genocide. 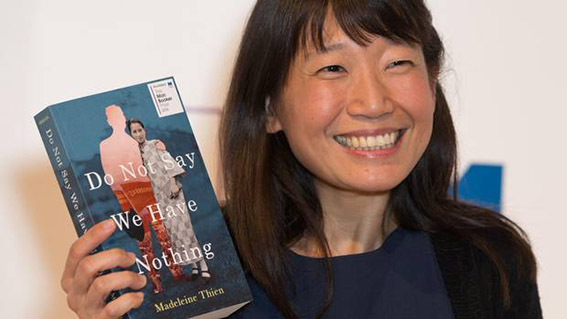 Her 2016 novel, Do Not Say We Have Nothing, about art, music and revolution in 20th-century China, won the Scotiabank Giller Prize and the Governor General’s Literary Award in Canada, and was shortlisted for the 2016 Man Booker Prize, the 2017 Baileys Prize and The Folio Prize 2017. The Financial Times commended it as “[an] extraordinary novel … measured, intoxicating and tragic … as courageous and far-reaching as principled resistance itself.” Her books have been translated into more than twenty-five languages.